Targets any artifact; X is the casting cost of target artifact. 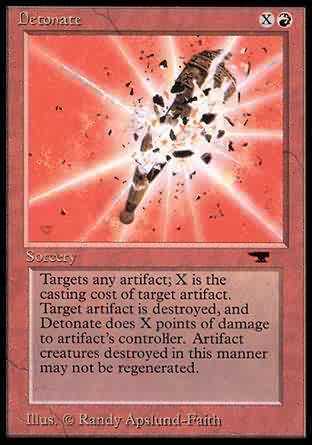 Target artifact is destroyed, and Detonate does X points of damage to artifact's controller. Artifact creatures destroyed in this manner may not be regenerated.